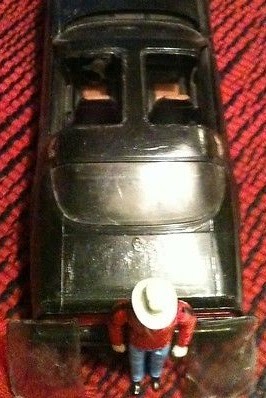 Ertl 3 3/4" Smokey and the Bandit Figure EAST BOUND AND DOWN !!!!!! 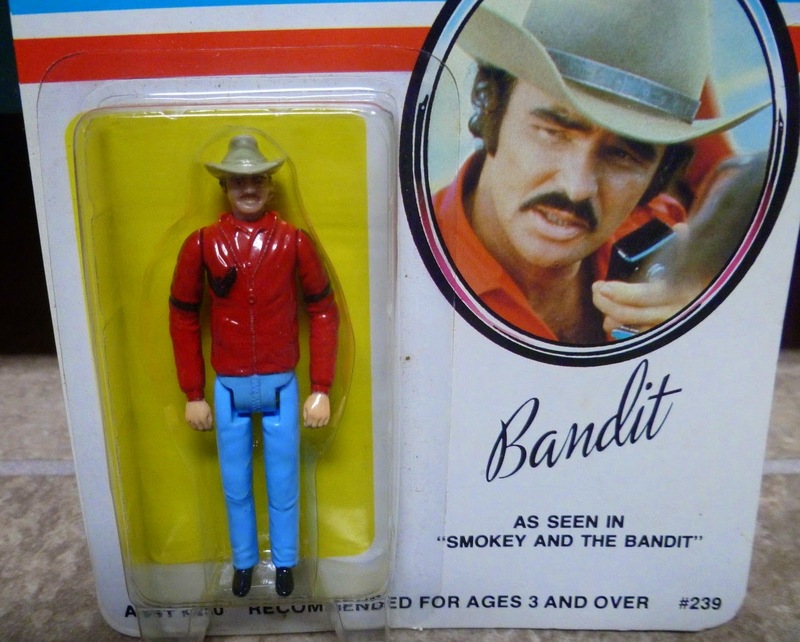 a Die Cast 3 3/4" Bandit figure ! 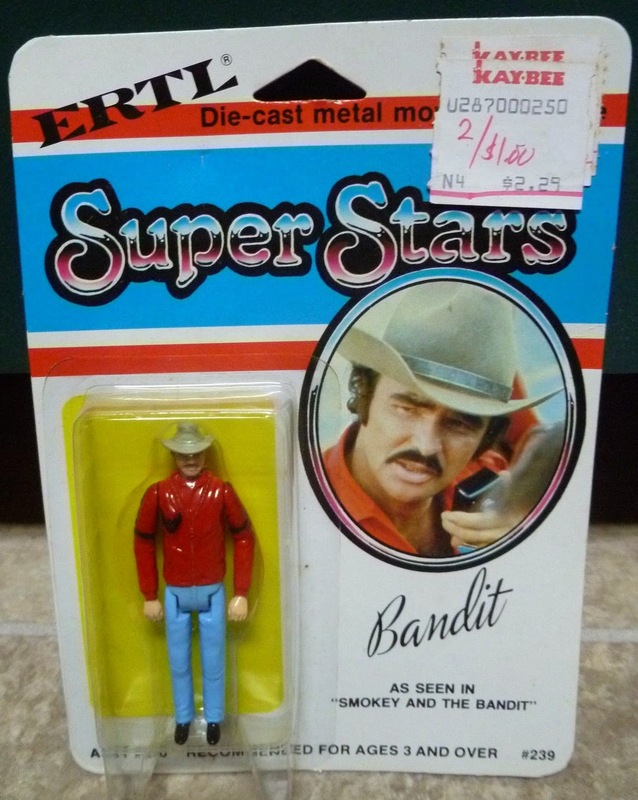 Back in 1982, ERTL produced a figure based on Burt Reynold's character the Bandit from the 1977 movie "Smokey and the Bandit". Its a die cast figure with 4 points (5 if the head moves) of articulation, standard for the time. A fine looking figure. Decent detail and likeness. As you can see from the package, ages 3 and over can pretend to thwart the law and transport beer across state lines. 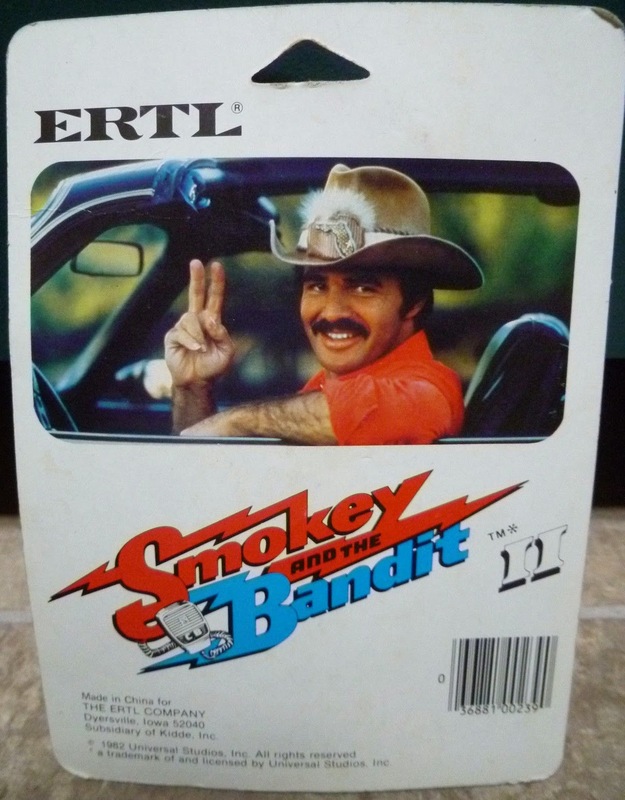 The backer is plain but has a nice looking picture of Mr. Reynolds in an advertisement for "Smokey and the Bandit 2" which came out in 1980, 2 years before this figure was released. 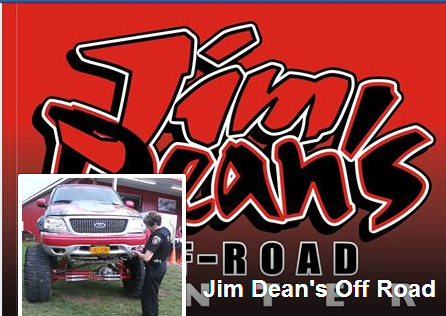 Also, I came across a Trans Am that goes with the figure. I cannot confirm anything about it, but it does seem to fit the mold. It even has removable T-Tops ! 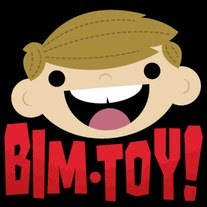 The movies themselves were full of adult themes, sexual innuendo and profanity, so why not produce a child's toy to promote it !?! It does seem a bit absurd that ERTL made a toy for an age group that should not have been viewing it, but hell I would have wanted it !! This item is not in my personal collection. The Tamiya RC Grasshopper Model Premium is Fantastic !! Back in the late 80's, RC cars were the BOMB !! Various car kits were available at all the hobby shops, RC Car Action was first published in 1988 and race tracks, both indoor and outdoor, were popping up all over to fill the need to race these 1/10th scale beauties. The Tamiya Radio Control Grasshopper was my first foray into the world of RC cars. It was a beginner kit that was relatively easy to build yet robust enough to play hard with. It could be modified enough to be somewhat competitive, and I sure tried with mine. It wasn't going to match up with an RC-10, but I was in the mix. This is a 1/10 scale miniature model of the Tamiya Grasshopper. I'm assuming it is a 1/10 scale replica of the 1/10 scale replica RC car but its not that critical :) Apparently it was a premium from January of 2005. When you bought a can of coffee called "Coca Cola Georgia", you received this model or one of the other various cars. At least that was in the description in the eBay ad. There is a Coffee Cup graphic with GEORGIA next to it so it validates that description, but I'm not about to translate it to be sure. The model comes in a neat package, straight from Japan. Its a Tamiya product so I knew it would be decent quality. The interior yields a few pieces to be assembled. The directions that are included are written in Japanese but the picture is good enough to build from. The model itself is produced well. The body graphics are tight and clean, however the nose graphic is a little off. 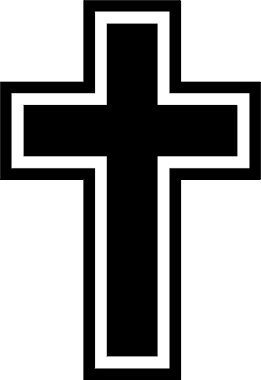 It does not take away too much from the model but I would have preferred straight lines. The pieces are molded well with all flashing is trimmed off, so I did not have to do any clean up work. It is really easy to assemble and the finished product stays together tight. The end product is a good representation of the actual Grasshopper RC from the 80's and looks great ! This model was well worth the few bucks I paid for it. It is difficult to display a real RC car easily and/or the cost of one may be prohibitive. This model is a good little flashback to a time when having fun mudding around with these little powerhouses anywhere we could get drive em was the best time ever. My original Grasshopper got sold in the 90's along with my comic book collection to get a Peavey Bass Amp to start my music career. It was a decent trade off, trading one hobby I outgrew for a new one that I was getting pretty good at. I did manage to get a new Grasshopper recently off eBay. It is pretty much stock and I am going to keep it that way for nostalgia's sake, then get another to modify for racing like I did in the 80's. They can be a bit pricy but when I do the post about that toy, the memories that come back of my cousin and I racing them all over the place will make it well worth it. 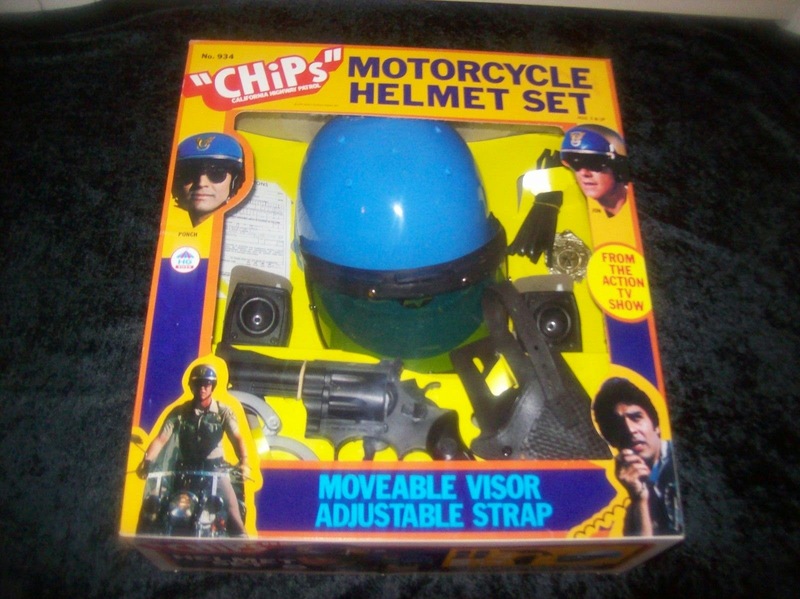 CHiPs Vintage Motorcycle Helmet Set !! with a REALISTIC LOOKING GUN !!!! Back when Ponch and Jon ruled the airwaves, the powers that be tossed out many products so us little kids could play-act out their adventures. 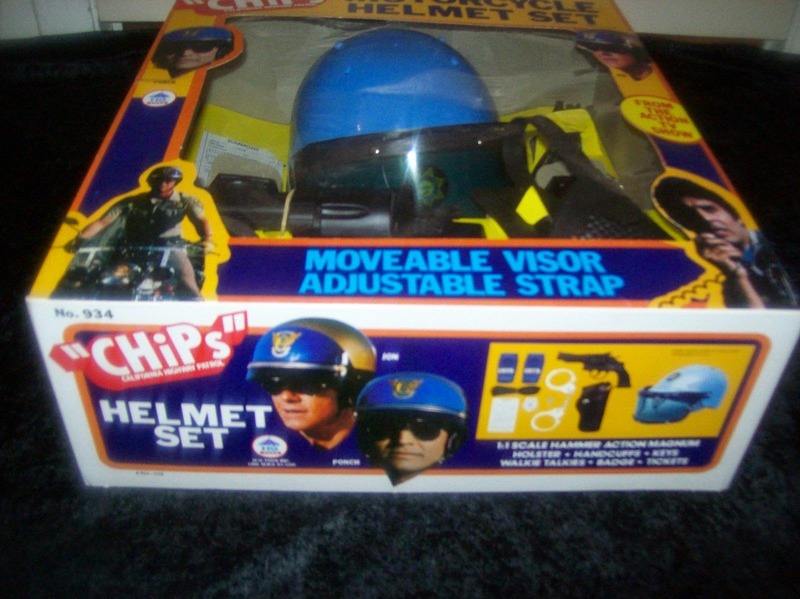 Here we have a treat I received on some Christmas morning during those years; The CHiPs Motorcycle Helmet Set. Look at all the goodies that came in that magic box ! 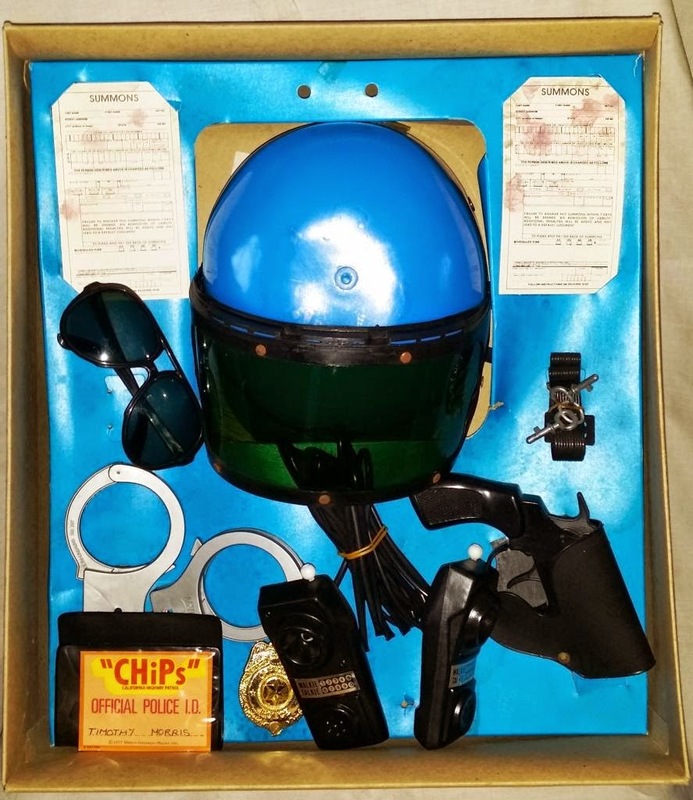 Handcuffs, a Helmet with Flip Up Visor, Walkie Talkies, a Badge, Sunglasses, Paper Tickets and a GUN !!! A realistic looking gun at that !! Now, this was a different time when toy guns looked like real guns and honestly, I played with it a lot and never had the urge to rob 7-11 or point it a a real Police Officer; making him decide whether or not to shoot me but ........ times were a lot simpler then. Either way this set gave me a lot of joy and fun memories as a kid. One of the few good dress up play sets from that era, there was a lot of fun packed into that magic box ! As some of you may have noticed, I have been absent from writing here for quite some time. My work schedule and finishing the last classes of college are taking quite a bit of time from me. Moving last year has put a damper on writing because most of my collection is still boxed up (proven by the fact that this and the last few of my posts have had pictures taken from the web instead of my own collection). Although, I have found that my interest in this hobby waning. All the new products just don't interest me and, while the vintage toys still do, its just getting pushed to the periphery. I'm gonna try posting some non-toy related interests and see if that inspires me, as my increasingly limited time permits. I do like writing this and will keep it up, but the posts may not be as frequent as they once were.